Should I buy an Original or a Print? 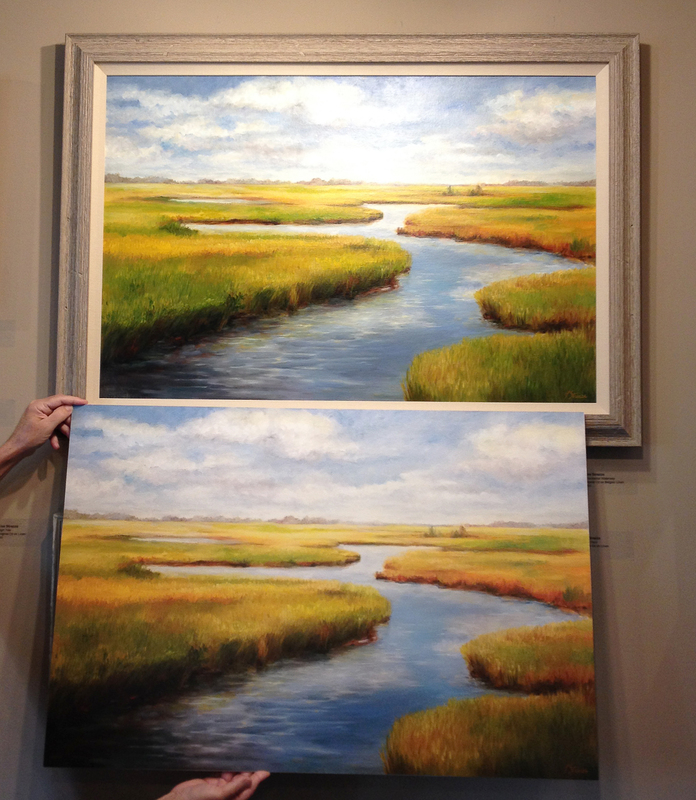 Home » Original Fine Art » Should I Buy an Original or a Print? Should I buy the Original piece of art or a Print? When it comes to a decision between purchasing an original painting, or a print of a painting, there are some considerations to take into account. In today’s world of technology we can produce fine art prints that look amazing, even when compared to an original. Prints of paintings can be done on fine papers, or fine canvas. We use both at Rick Evans Gallery. The printing technology we use in house is of the highest quality. While there may be many reasons to buy an original, or a print of an original; here are just a few tips to get you started. 1. You simply have to have the original. For some people there is no question, it’s always the original. “Only the original will do,” they often say. Also, they love knowing it’s the only one—it’s one of a kind. Many art lovers feel this way, so they budget their art buying predominately for original art only. 2. You have a special place in your home to display original art. This is when you have special places in your home, or office, where only an original is what you want. And, you’re happy knowing that it’s one of it’s kind. It’s special! It may be a mantle in your living room, or a special room in your home where you display only your finest pieces. Most art buyers want to invest in something original for these important places. 3. You see the difference between the original and the print, and it matters to you. Some buyers see a difference between an original painting and the print, and it matters to them. The original is usually their choice. This is a person to whom the textures, paint, and feeling of the original is all very important. 1. You love the original piece of art, but it’s either sold, or it is outside of your budget. So often people find a piece of art they love, but it has sold, or it’s simply outside of their budget. In this case, a fine print of the original is a great choice, and usually significantly less in cost. 2. The room in which the art is going to be displayed may not justify the cost of an original. Again, placement in your home, along with budget, sometimes plays a role. If you are displaying a painting in a space that is rarely used, like a spare bedroom, or a rental, then a print may make more sense. 3. When you love the original painting, but it is not the right size. You have a specific space that needs art, and you find a particular painting you like, but it’s not the right size. Often, a print can be made to a custom size, that with a frame, will fill that space exactly as you wanted. 4. The difference between the original and the print, doesn’t matter to you. Even when someone can see the difference between an original and a print, the difference doesn’t matter to them. The print looks great, and it will work just fine for the purpose or budget they have in mind. In the end, what you buy must make sense for you. Some people mix originals with prints through their homes, depending on cost, where the art is hung, and the size of a wall. Come on into the gallery and see the many original paintings we have. They come in a variety of prices and styles. Then, if it makes sense, buy an original, or have a print made. Either way, it will be a beautiful piece of art to display in your home.